Porcelain crowns are an extremely popular choice for improving the function and appearance of your smile. 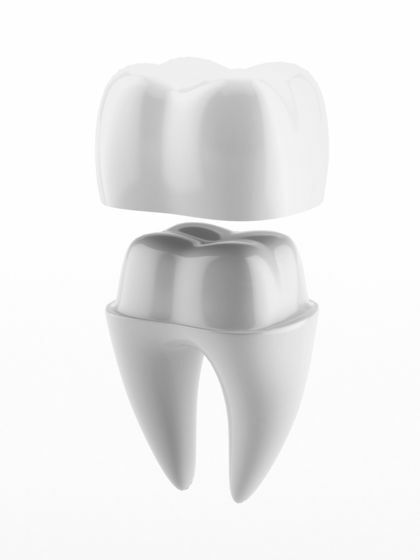 There are many reasons to choose porcelain crowns, like their discreetness and durability. Porcelain crowns look exactly like your natural teeth, and they preserve the function of your smile. 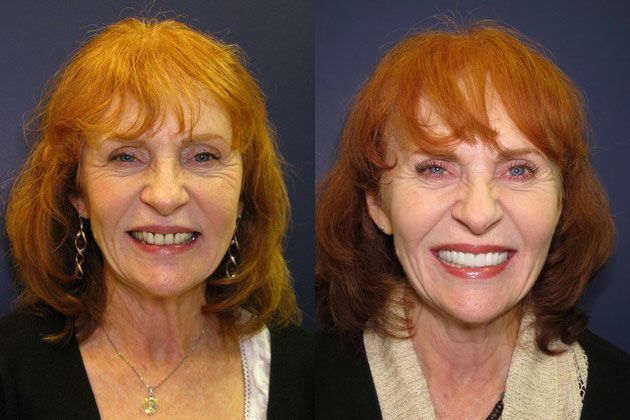 At Vero Dental Spa, the process of getting porcelain crowns is straightforward and easy. Before any dental treatment can be determined, you will need to attend a consultation appointment with your dentist. During this meeting, you will be asked about your oral health, general health, and wellbeing. Your dentist will make a thorough examination of your mouth and teeth. Dental imaging will also be done, so that your dentist has a completely accurate picture of your dental health. This consultation appointment also gives you the opportunity to ask any questions that you may have about the procedure. Once your candidacy has been approved you will be able to schedule the first of two appointments to get your porcelain crowns. Your first visit for your porcelain crown procedure will take place in three simple steps. For the new crown to fit correctly, the tooth that is being restored will need to be prepared. All crowns are created with a specific thickness. This ensures that they are strong enough to withstand daily use, and in the case of porcelain crowns, to create a natural-looking translucency. The minimal thickness required is around 2mm, which means that your original tooth will need to be shaped in order for there to be enough space for the crown to fit. As well as shaping your tooth down (or building it up if there is not enough natural tooth to support the crown), your dentist will remove any decay so that the tooth to be covered is as healthy as possible before the permanent crown is placed. Once your tooth is shaped into the correct size and shape, your dentist will take impressions of your mouth, and in particular, the space where your new crown will fit. This will be used as a guide for your custom-created crown, ensuring that finished product will fit well and look natural. Your dentist will also ascertain the color that your new crown should be by performing a color-match against the rest of your teeth. Once your permanent crown is secured into place, it should be virtually impossible to identify. Your impressions will be sent away to the team that will be custom-building your crown. It typically takes around a week to ten days for porcelain crowns to be ready, and so you will be given temporary crowns until this time. The temporary crown will help protect your affected tooth, and prevent the other teeth in your mouth from shifting into the additional space. Temporary crowns are almost always made from plastic or acrylic. Temporary crowns are only fixed in place with a semi-permanent cement. This means that you will need to take extra precautions to look after them, avoiding hard, chewy, or sticky food and brushing and flossing carefully to avoid pulling them out. Once your permanent crowns are ready, you will be invited back to our office to have them fitted. You will have your temporary crown removed, and we may have to clean away and fixing cement that is bonded to your tooth. Next, we will place the permanent crown, and make sure that you are happy with the color and appearance before fixing it permanently in place. Cementing your new crown into place is simple. The procedure will be exactly the same as that of temporary crowns, except this time we will use a permanent cement. You will need to take extra care with your new crown for at least a few days after your final procedure, and should completely avoid hard or chewy foods. This will give your crown time to settle firmly and securely in place. It is important that you continue to brush and floss your teeth regularly, and attend your routine check-ups at our office. This will help to maintain your crown and support your long-term oral health. The team here at Vero Dental Spa is extremely experienced in providing successful, high quality porcelain crown procedures. Call Vero Dental Spa today for information about porcelain crowns and schedule a consultation at 772-778-5550.